You are here: Home › Blog › Restorative Dentistry › What Are the Best Options to Replace Missing Teeth? If you have one or more teeth missing, you must be aware of its importance for your dental health and the appearance of your smile. 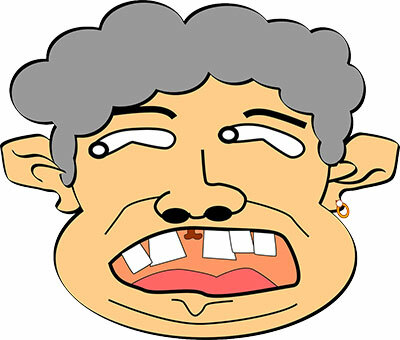 Loss of permanent teeth occurs due to several reasons, ranging from accident to dental problems. Although it is nothing to be ashamed about, it sure can affect you in many ways. For one, it affects the aesthetics of your smile (especially if the missing tooth is a front tooth) and your speech. This, in turn, might affect your self-esteem. Secondly, you won’t be able to chew food properly if your molars (your back teeth) are missing. Most importantly, if a tooth is missing, it can impact all other teeth in your mouth as they move around in the absence of the tooth. Whatever the reasons for tooth loss, you can rest assured, teeth can be replaced. There are various replacement options such as removable dentures, which can be complete or partial, and fixed replacements, which is either through implants or bridge. All these options differ in durability and the procedure required for replacement. If you have been asking yourself, “What are my artificial teeth options?”, here are a few answers. Carefully consider all of these options for missing teeth before choosing the one that best suits your specific needs. Dentures involve replacement of one or a few missing teeth with artificial teeth, which are fixed to a plastic, gum-colored base. The base connects to a metal structure. Artificial teeth depend on neighboring teeth in the same jaw as the metal is anchored to your natural teeth. They also require mechanical support from the original bones and gum edge that remains. This is one of the best options because it is quite affordable. Plus, you can remove and clean the dentures after the meals. However, they are not as firm or visually appealing as a bridge. You may even feel some discomfort from time to time. Removable complete dentures are temporary and mostly used as an alternative after teeth removal while allowing the gums eight to twelve weeks to heal. They can be used as replacement of all the teeth either in the upper or lower jaw. They do not last long because the bones and gums usually shrink during the healing process and soon they won’t fit. You may use them for the time being until your gums heal completely. This is more permanent solution as the bridge is securely cemented. Explore this option if your Kirkland dentist certifies that your surrounding teeth are many and strong enough to support the artificial one. The adjoining teeth have to be sized down in order for the bridge to be made. Reducing them involves the removal of all the enamel to create space for the artificial tooth which is usually placed in-between the surrounding teeth. A fixed bridge restores the beauty of your smile and can last for 10 to 12 years before replacement is needed. The downside of this procedure is the irrevocable condition in which it leaves the surrounding teeth. They are exposed to the danger of nerve strain which will constantly require treatment of the root canal. In addition, replacing a fixed bridge after the 10-12 years elapses will attract extra treatment as the supporting teeth would have been seriously strained. The dental implant option is widely acclaimed as the best available option for teeth replacement. It has fast become the choice of most people since improvements in treatment and technology have been made. Dental implants are popular because of their durability, effectiveness, firmness, and strength. They can address a single tooth, multiple teeth, or even full teeth as well. This option is the most expensive, however. The procedure involves implanting a titanium artificial root into the affected jaw bone and allowing it to heal for about 2 to 6 months before planting the artificial tooth to the jaw bone underneath the gum tissue. When it comes to replacing your missing teeth, one of the primary factors you’ll consider is how much the procedure costs. In terms of expense, dental implants are typically the most expensive because they require surgery. As a result, a dental implant can cost up to $6,000. Comparatively, a bridge is typically much less expensive, at around $3,000 on the higher end. Partial dentures might only cost several hundred dollars, but the size and location of the denture can impact the price, driving it up into the thousands of dollars. Naturally, full dentures are yet more expensive, and in some cases, can rival the cost of a dental implant. With all these teeth replacement options from which to choose, you have plenty of variety when it comes to choosing the best avenue for replacing missing teeth. What’s more, you have no excuse to continue suffering from the trauma caused by damage to your smile! The decision to replace a missing tooth isn’t something to do on your own. 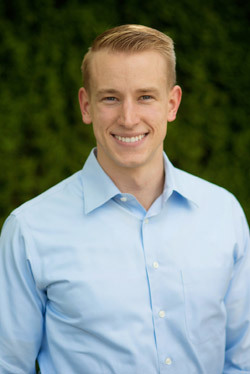 Your dentist at Kirkland dental practice can help walk you through the options available to you and recommend a course of action that is the best tooth replacement for your particular situation. Whether your teeth are missing because of accident, injury, disease, or some other issue, you don’t have to continue living without a full smile. See what options you have for tooth replacement by speaking with your dentist today.